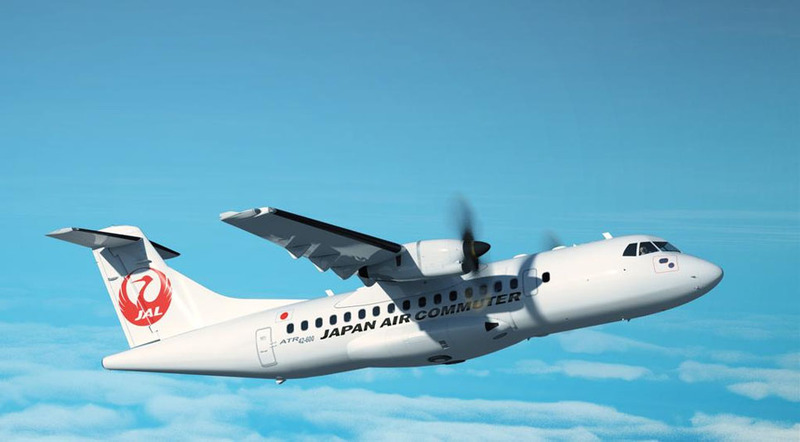 Japan Air Commuter Co., Ltd (JAC) – a JAL Group Company- and the European turboprop aircraft manufacturer ATR are pleased to announce the signature of a contract for the purchase of 8 firm ATR42-600s, plus 1 option and 14 purchase rights, valued at US$ 496 million. The signature of this deal represents a major milestone for ATR, as it represents the 1500th ATR aircraft sold since the beginning of the program. It is also the first contract signed between ATR and a Japanese airline. The operations with these new 50-seat ATR 42-600s will start in 2017 with the remaining aircraft to be delivered over the next three years. With its brand new fleet, Japan Air Commuter will replace its current regional aircraft on its main routes as well as on operations to smaller islands of the country. The state-of-the-art ATR42-600 turboprop is equipped with a glass cockpit incorporating the newest navigation technologies, -also available on the A380-. The aircraft are also equipped with the new ‘Armonia’ cabin, featuring the latest standards of comfort, including large overhead bins, LED lightening and more legroom for passengers. Arata Yasujima, President of Japan Air Commuter, declared: “We are proud to be able to introduce the ATR aircraft to the skies of Japan. The ATR42-600 is a perfect match for the regional routes of JAL Group by its economical, environmental and operational specifications. Also we believe that the high level of ATR’s reliability and our quality of operation will satisfy our passenger’s needs. This brand new aircraft will take our passengers to many beautiful destinations, especially the islands of Kagoshima, southern part of Japan.